Secondary school education in Singapore is basically categorised into the 3 streams namely, the Express Stream, Normal (Academic) Stream, and the Normal (Technical) Stream. Secondary 1 students’ placements into any of the stream are determined by their PSLE aggregate scores. Express stream students generally attend 4 years of school and sit for their ‘O’ Levels examinations, whereas the Normal (Academic) and (Technical) stream students attend 4 years of school and sit for their ‘N(A)’ Levels & ‘N(T)’ Levels examinations respectively. N(A) students generally proceed to a 5th year of secondary school to sit for the ‘O’ Levels as well. There is also a separate stream called the Integrated Programme (IP) whereby students within the top 10% of the national cohort will be eligible to enrol in. Students in the IP are exempted from taking the ‘O’ Levels. Instead, they attend 6 years of secondary education before sitting for either the ‘A’ Levels exam, International Baccalaureate, or an equivalent exam. Students entering into Secondary schools may find it challenging and tough to adapt from Primary school as they will be introduced to new subjects such as Literature, Geography, History, Design & Technology and Food & Nutrition, apart from the core subjects like English, Mathematics, Science, and Mother Tongue. As they progress on to upper Secondary levels (Secondary 3 and above), even more subjects will be added onto their curriculum with the likes of Additional Mathematics, Principles of Accounts, Combined Sciences (Physics, Chemistry & Biology), as well as Combined Humanities (Geography, History & Literature). It is very common for Secondary students to feel stressful and anxious over their academic performances as many struggles to fully understand or even to catch up with what is being taught in school. Having experienced and qualified Home Tutor to customise lessons according to the individual needs and learning methods is extremely crucial and essential. The Home Tutor can assess the student during the 1st lesson and determine where the student’s weak areas are and then prepare the appropriate lesson plans accordingly. This is something that no group tuition tutor nor school teacher is able to provide. Home Tutors who are familiar and experienced with examination syllabuses will be able to share with the student study tips that can enable faster and easier learning. This increases the student’s level of understanding and confidence in the subject at hand, thus improving results in the fastest and efficient way. The Home Tutor will also be able to provide Parents with timely feedback on their child’s progress so that both Parents and Tutor can work hand in hand in order to maximise the child’s learning process. In this sense, having a Home Tutor for your child is THE MOST effective and efficient way to improve his/her results! Secondary school students may be overwhelmed with their school curriculum, extra classes, and their Co-curricular activities as well. To attend tuition classes at a tuition centre may also have adverse effects as the student has to take the time to travel to and fro to the lesson which may be in a classroom setting. Having a Home Tutor to conduct lessons in your own home will greatly save your child the time and effort of travelling, and the lesson can be conducted at your child’s convenient timing as well. With many years in the education industry, we know the problems that Parents face when dealing with their children’s education and the uncertainties when it comes to securing a Homme Tutor. 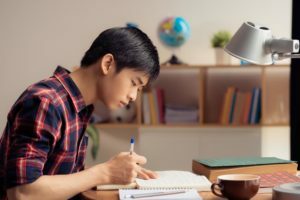 Here at SuccessTuition, we have one of the most extensive profiles of Home Tutors Island wide for Secondary Home Tuition, be it for English, Mathematics, Science, Mother Tongue, or Humanities. We are dedicated to searching for the most suitable Home Tutor to suit your child’s learning needs as we strongly believe that your child’s success is ultimately OUR success! Request for a Home Tutor now and experience the positive change in your child’s education!